Does Chewing Ice Damage Your Teeth? We’ve probably all been told not to chew on ice, that crunching ice cubes damages teeth. You may have wondered if your mom just said that because she didn’t want you getting ice out of the freezer all the time. Or maybe your coworker just doesn’t like the crunching sound happening in the cubicle next to him, so he’s trying to find a way to make you stop. Is chewing ice actually bad for you? We’re going to shoot straight with you. The reality is that finishing off the ice in the bottom of your glass at a restaurant or indulging in shaved ice and snow cones over the summer probably is not going to damage your teeth. But if you are the type of ice-eater that walks around with an insulated cup all day and you make regular re-fill-the-cup pilgrimages to the freezer, then that’s a different story. Permit us to state the obvious: ice is cold and hard. Chewing ice on a regular basis definitely takes a toll on your teeth. Although tooth enamel is tough and durable, it wasn’t made to function as a rock-crusher every day. Eventually, you’re going to end up biting down on a piece of ice at an angle that creates a crack in one of the crevices in your teeth or that chips off one of the uneven ridges in your molars. Exposure to cold can also harm your tooth nerves and necessitate a root canal. And another obvious thing: if you have braces, chewing ice is a huge hazard. You can damage brackets or bend wires and hinder your orthodontic treatment progress. (Parents, this may be something that you want to track with your teenagers!) So, yes, chewing ice can actually hurt your teeth. We don’t want to just leave you with the bad news though. Believe it or not, there may be medical issues underlying your ice craving, so let’s talk about those. Chewing ice is often a symptom of an iron-deficiency/anemia. (This fact explains why many pregnant women crave ice, since the body’s supply of iron is often compromised during pregnancy!) There are several theories about why iron deficiency and ice cravings go together, and none of them are totally conclusive. Some research suggests that eating ice may trigger additional blood flow to the brain, thus reducing the sense of fog or sluggishness that often accompanies anemia. All that to say, if you regularly crave ice, talk to your doctor and get some testing done; your body may be telling you something that you need to know. 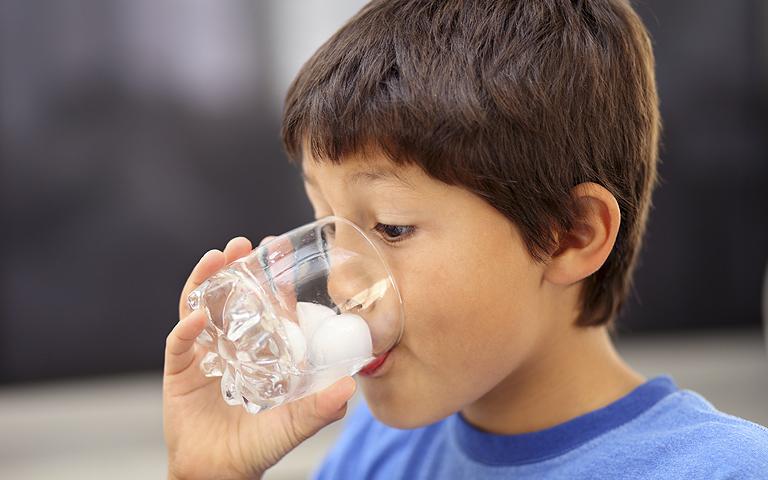 Ice chewing may also be associated with pica or pagophagia disorders. According to the Mayo Clinic, these disorders may be related to stress or OCD. Treatment for pica could include a variety of approaches, including cognitive-behavioral therapy. What’s the bottom line? Conventional wisdom for the win: chewing ice isn’t your best option, BUT your craving may be a significant message from your body’s ecosystem, helping you notice what you need for whole-body health. If you or your child have consistent ice-cravings, talk to us at your next ortho appointment, and we’ll help you work through next steps for keeping your teeth and your whole self healthy!